Ajna is passionate about embodied awakening and opening hearts. She is a qualified Rebirther, accredited Yoga teacher, certified Massage therapist, Watsu practitioner (water massage), Tantrika, Reiki master, Theta healer, Interpersonal Relating guide. 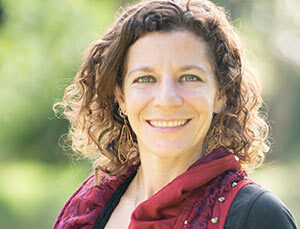 She is the founder of Cacao Heart (cacaoheart.com) and Soulistic Yoga & Well-Being (soulisticyoga.com). Originally from New York, Ajna is a lifelong student of self mastery, exploring within, and around the world. She has been practicing meditation and yoga for over a decade, lived and traveled in more than 60 countries around the world to learn and teach ancient and new-age forms of healing through the harmony of mind body and spirit. She has integrated the fruitful experiences she has been blessed with in her sessions. She has been facilitating groups through deep soulful connections and openings for more than 6 years and thrives in the healing that takes place on the sacred journey of the heart. Breath is simply greatest tool she has found in accelerating deep processes. Simplicity and depth are found in each inhale and exhale.